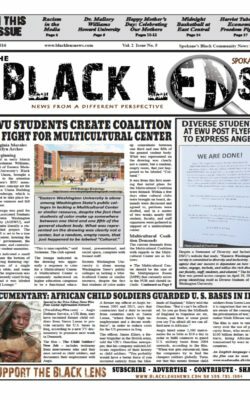 The Black Lens, an African-American newspaper, was denied media credentials to cover Donald Trump’s Spokane campaign stop. The Black Lens is published monthly and has a circulation of 1,000. Williams and a photographer are the publication’s only staff members. There are many agendas that I have heard they have been doing all about the Donald Trump. He sure seems to be the rightful person to bring the good change in the history of America. I think that trump has taken the right decision because he has been doing all this for the sake of this country. It is the real idea through which we are able to see change in this country. Newspaper is an old and basic source of information from all over the country and world, it keep aware people from current affairs. This article is about an African and American website https://bestaustralianwriters.com/australianwritings-com-review/ newspaper that is working so well to serve their nation.